Last week (in part I), we saw how Jonah was given a calling, which he saw as an interruption, and ran the opposite direction from where God was asking him to go. We also saw in chapter 2 of Jonah how the prophet repented of his sin and God brought redemption. This week we look at chapters 3 and 4. 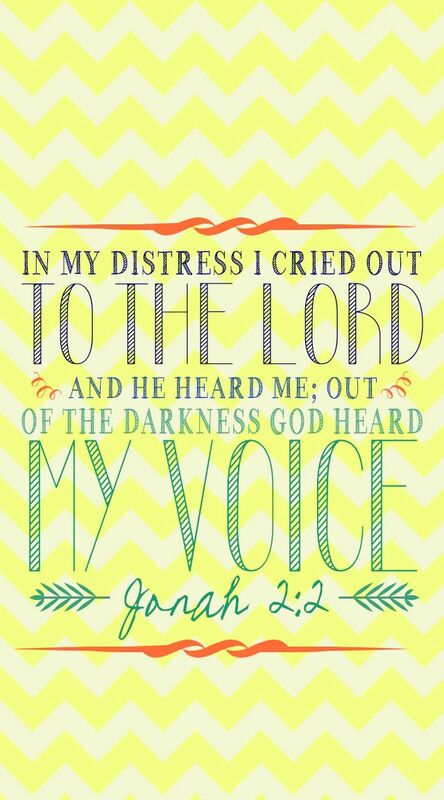 In Chapter 3, God speaks to the Jonah a second time. He did not give up on Jonah. Oh, friends! Do you see that beautiful picture of redemption? We can ignore God’s plan for us, we can see His call as a interruption, but if we repent He will continue to call! He will continue to speak! He will not give up! But in our second chances, brothers and sisters, may we be like Jonah and obey the word of the Lord (Jonah 3:3). The story of Jonah was never about Jonah. The story of Jonah was never about the fish. The story of Jonah is about the character of God. So Jonah obeyed God, and then God brought repentance to the city of Nineveh. And Jonah was angry. No one can tell me they haven’t ever felt or done what Jonah has done. You know we are to love our enemies, we are to pray for their redemption. Oh we want God to be gracious, slow to anger and abounding in steadfast love, and relenting from disaster when it comes to us. But our enemies? Oh heeeccckkkkk no! The challenge questions here is this: are you concerned more about your convenience or your calling? Our calling is something greater – we are to share with the world the salvation offered by Jesus – who laid in the belly of the earth for 3 days and 3 nights to give us a second chance. This week we were asked for #shereadstruth to discuss Jonah 1 &2. The first thing I want you to do is forget all you know about Jonah – because what most of us know is about Jonah and the fish. There is so much more to know! 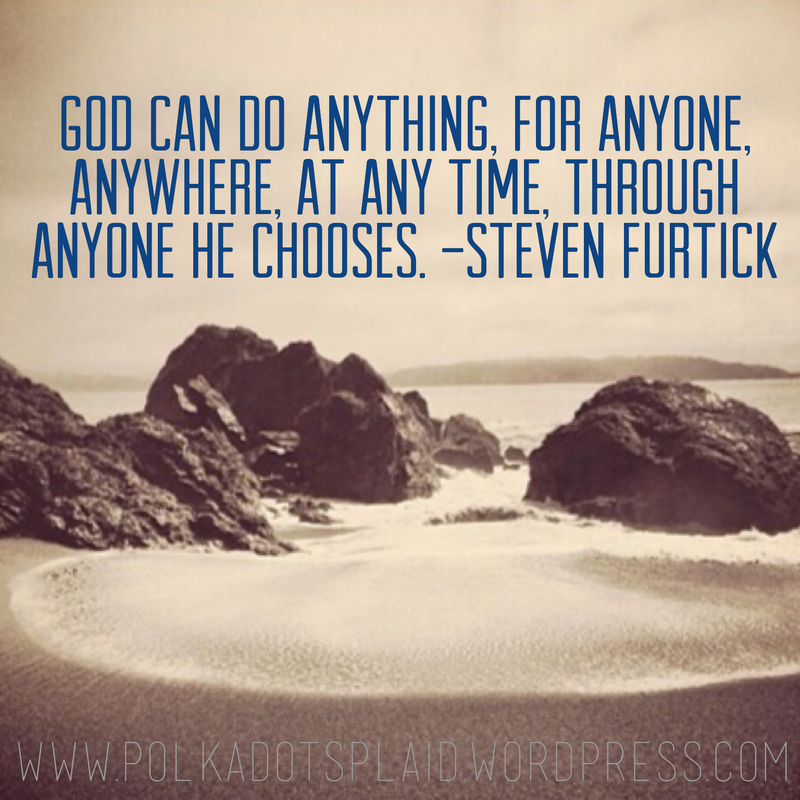 I immediately thought of a sermon from Steven Furtick of Elevation Church I had listened to a few months ago. I suggest you listen to it (click HERE). Jonah was running FROM the Lord. You are doing one of two things in your life right now: running TOWARDS God’s will for your life, or you are running FROM the will of God in your life. Jonah refused to preach to Nineveh, where God had called him, and ran towards Tarshish. 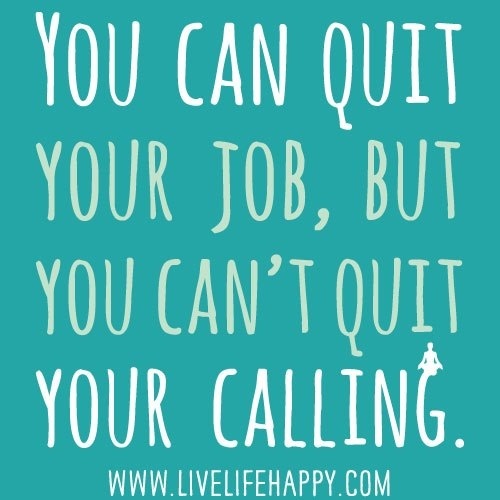 What are you calling your current situation? It becomes what you call it. And then the fish. That fish was sent by God and it swallowed up Jonah. Three days, three nights – just like Christ who spend three days and nights in the belly of the earth before rising again. And in Jonah’s prayer which begins the 2nd chapter, Jonah states, “salvation comes from the Lord,” (Jonah 2:9). And with that, the Lord commanded the fish to let Jonah out. And God redeems. I know this all too well. I ignored God’s call about a year ago, and I ignored what He was asking me to do.I didn’t like where he was calling me, so I made excuses and I ran towards my own Tarshish. And then about 3 months ago, my excuses became my regrets. 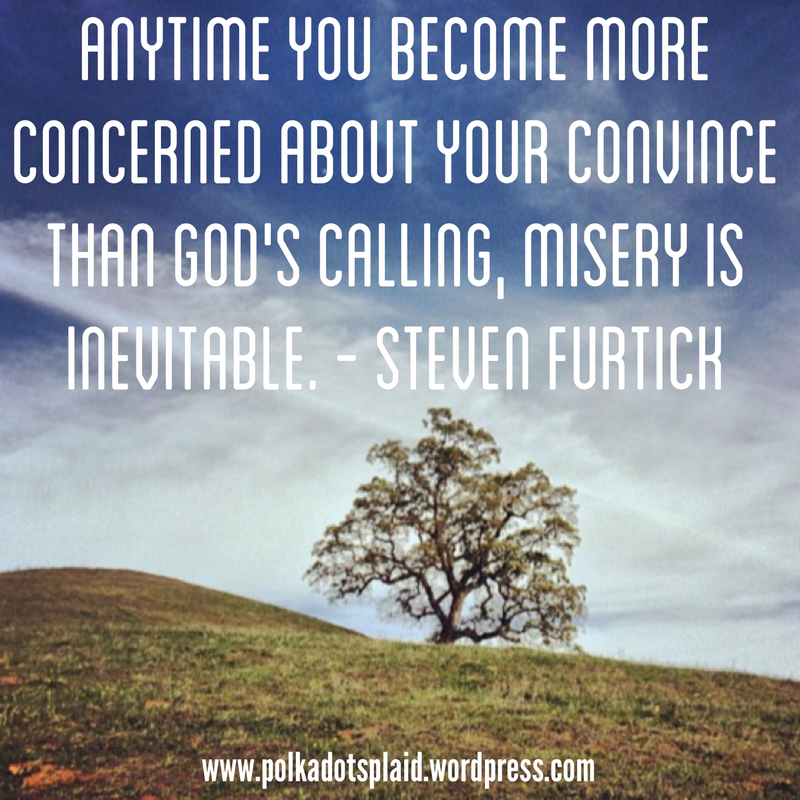 But, as Furtick puts it, God turned my misery into my ministry. God used my disobedience to bring me to where I am today – which is where this blog began, which is where my life started changing, where I started becoming who He created me to be.